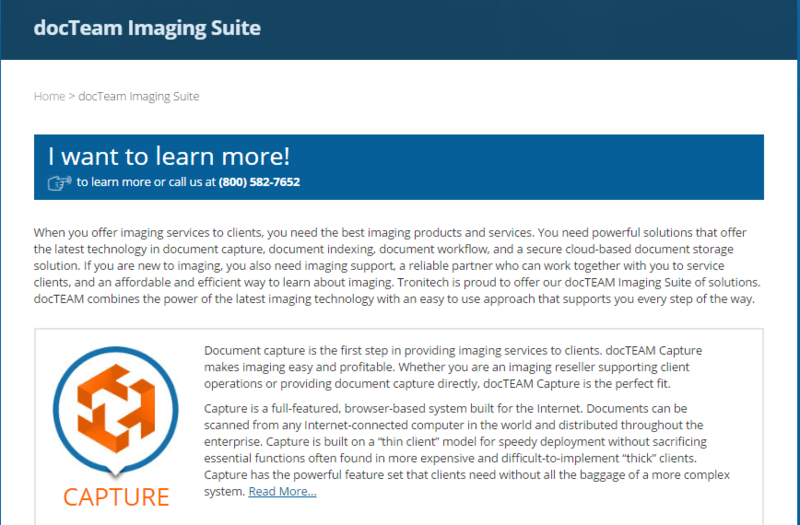 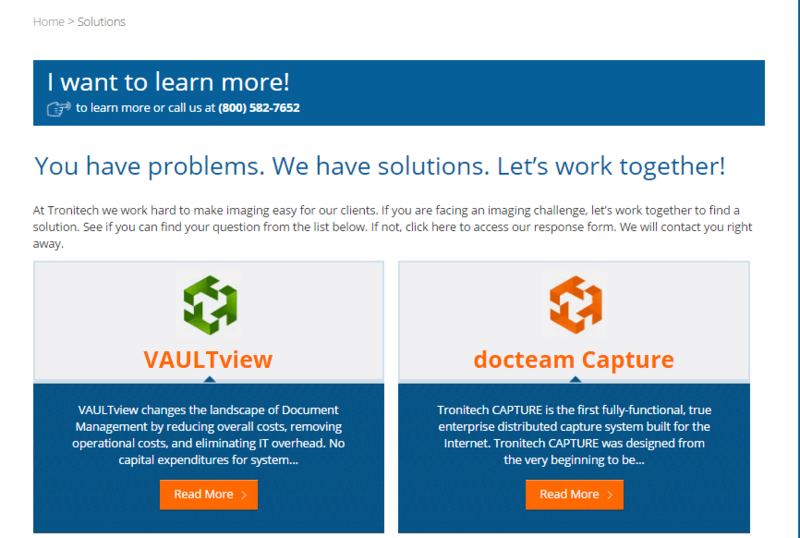 Tronitech is the developer and marketer of docTeam Imaging Suite that incorporates all the necessary features for a comprehensive imaging full-service provider. 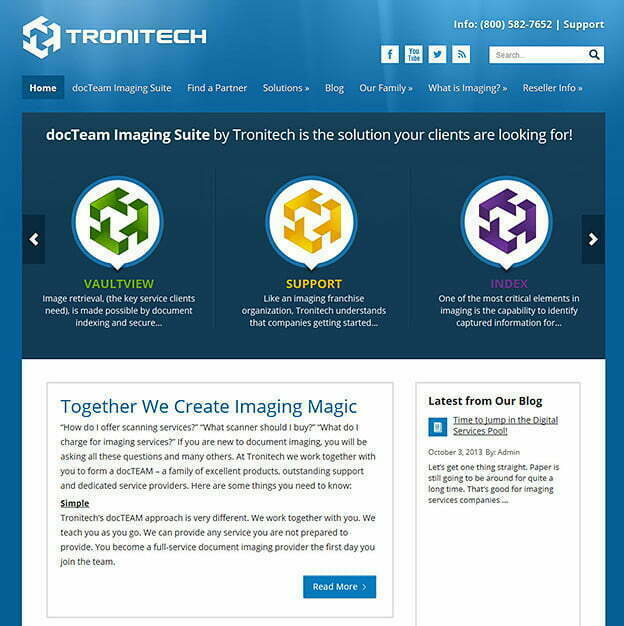 Tronitech has an excellent avenue through this attractive web site to appeal to potential resellers who want to become a part of the Imaging Magic that Tronitech is creating. 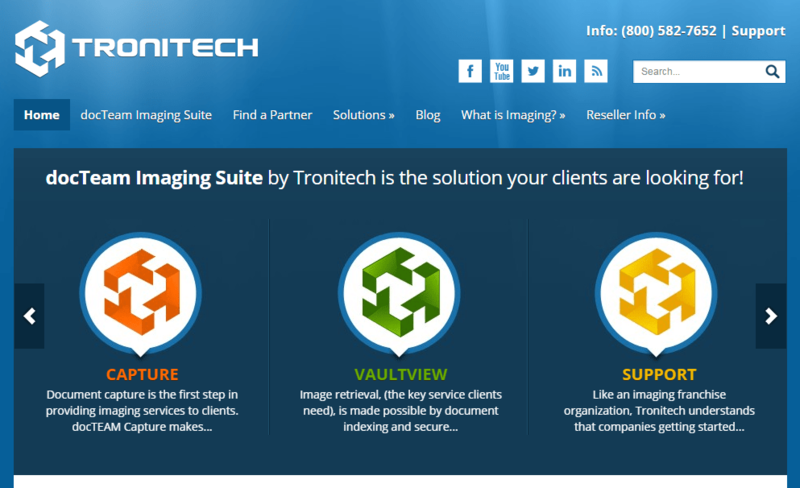 The layout is clear and eye-catching, it is easy to navigate, and the text clearly presents the Tronitech business plan for helping new fledgling imaging service businesses get a good start in this new, developing industry.